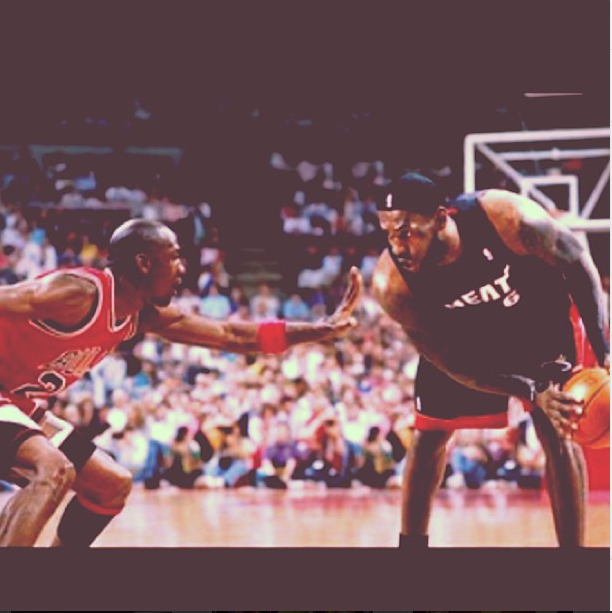 Players like Jordan and James are so rare that it can be risky to compare them with anyone. Still, one reasonably useful benchmark is to evaluate players who, like James and Jordan, had won at least one Most Valuable Player award and at least one N.B.A. title as of their age-28 season, meaning that they had achieved the pinnacle of both individual and team success. By count, there were 13 such players before James. 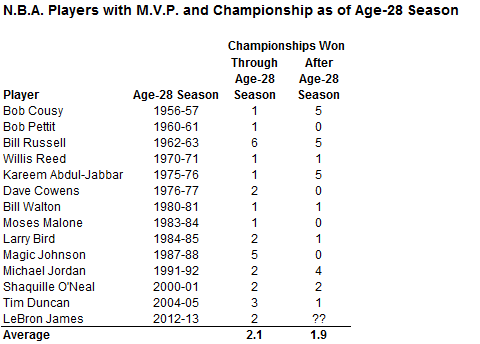 On average, they won about two additional championships (more precisely, an average of 1.9) after their age-28 season. So a reasonable over-under line for James might be two more N.B.A. titles, or four total. James needs four more championships to catch Jordan, so one estimate of his odds might be 4 chances out of 13, or about 30 percent. But some of the favorable precedents, like Russell, came in an era when teams had far more ability to retain their players. Among the players on the list who played their age-28 season during the salary-cap era (since 1984-85), only Jordan won four or more titles.